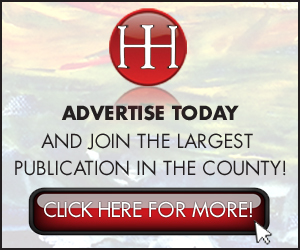 The most targeted, most effective, most affordable advertising opportunity in Harford County! Harford’s Heart distributes 45,000 free copies throughout Harford County, bi-monthly. Harford’s Heart is not junk mail. We don’t impose our magazine into mailboxes hoping someone will read it. Our distribution is managed in-house, carefully controlled for maximum exposure and impact, with verification of distribution numbers/location/zip code area. Every copy of Harford’s Heart is chosen and selected by YOUR customers. Harford’s Heart focuses on local businesses, local events and local personalities. We’re accessible to readers who are attracted to the content and the importance of “Keeping it Local”. 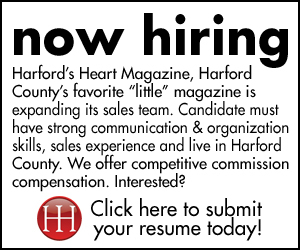 Harford’s Heart’s rates are consistently lower than other publications – giving you the best advertising value in the area. We concentrate our distribution in Harford County so your ad will reach qualified customers who respond to your marketing and bring revenue to your business. Harford’s Heart is a free publication distributed all around Harford County through supermarkets, restaurants, banks, libraries, salons, doctors’ offices, shopping malls and specialty retail stores – the places most likely to reach your customers – who live within a 10-20-mile radius of your business – those who can and will visit your business and spend money! Remember, you don’t choose your customers, they choose you. 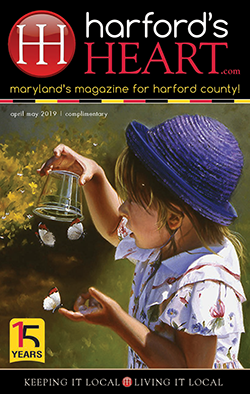 And they choose Harford’s Heart – making us Harford County’s fastest growing local magazine!